Did you catch Hydric Media’s co-founder, Eoin McCarthy, presenting at the recent Mobile Monday event in Brisbane? 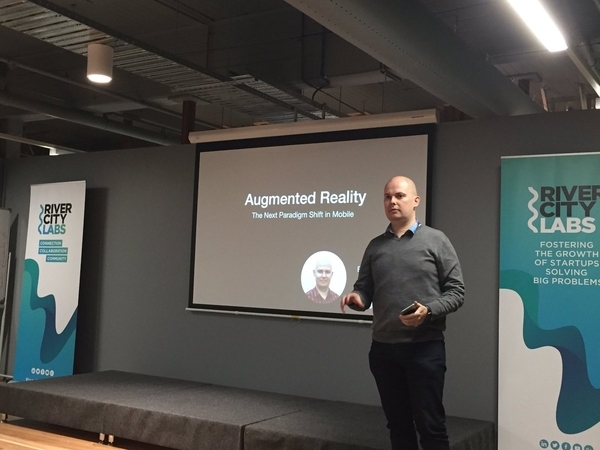 The focus of the evening was on augmented reality and Eoin covered a wide variety of topics around this emerging technology. If you missed the event, or just needed a recap, we wanted to bring you the best highlights and key takeaways. Augmented reality (AR) has dramatically shifted the way users interact and engage with digital experiences. With popular apps like Pokémon GO and SnapChat commercialising the tech into users pockets, it’s becoming a must-have feature for both brands and developments. By applying what Eoin mentioned to be a ‘window’ over a user’s real world setting, AR seeks to enhance the limits of what a user would normally experience. After major AR announcements coming from Google I/O, Facebook F8 and Apple’s WWDC, now really was a better time than ever to discuss the history, present, and future of this tech at this month’s Mobile Monday. So where did AR come from? Eoin kicked off the evening by touching base on a brief history of AR. He mentioned that one of it’s earliest adopters was Fox Sports with their use of the glow puck. The concept was designed to digitally track the puck within ice hockey games and show its location live on broadcasts. 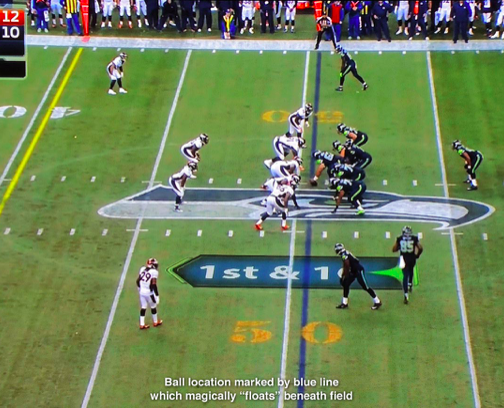 Viewers didn’t openly accept the concept as they thought that the AR effect interfered with gameplay. Over a decade later, Johnny Lee – now the Technical Project Lead for Google’s Tango division, stepped into the world of AR when he created a head tracking unit with a Nintendo Wii remote. Eoin gave mention to Johhny’s project that used a Wii remote and sensor bar in reverse. By doing so, it allowed the remotes infrared sensor to track the position of the sensor bar as it moved freely around a virtual tv display. Johnny had arguably created the first wearable AR technology when he swapped the LED lights on the side of sunglasses with infrared lights. These unique sunglasses were used as a means of replacing the need for the Wii sensor bar in his experiment. From this dawn, there have been several attempts from different companies aiming to create wearable AR technology for consumer use. Although most of these products were seen as failures on the consumer front, they offered genuine benefits to industries as they were able to provide unique ways of increasing workers productivity. It wasn’t until the more recent SnapChat Spectacles released in 2016 that consumers welcomed the use of wearable AR tech. In 2017, brands are continually seeking to discover new and enticing ways in which they can incorporate AR into consumer experiences. Eoin showed a product video of the recent Lenovo Tango mobile – which was recognized as a dominant player in the consumer AR game. The phone utilizes multiple cameras to create a 3D depth sensor that measures and responds to the real world. Capitalizing on the power of the AR phone, is homemaker company Lowes, who has created an experience that allows consumers to measure their homes and drop virtual objects from a store catalogue into place. Users have the option to then purchase those objects online or from their brick and mortar stores. So what are the components in modern AR? Eoin pointed out that the key necessities behind modern AR is the ability for a system to recognize objects, have a sense of spacial awareness, and to be able to track the location of both the user and the real world setting. 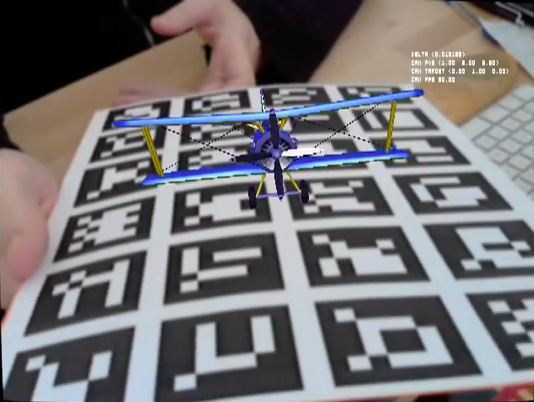 As AR began to emerge on mobile, developments heavily relied on the use of marker-based tracking to coordinate a virtual object within a real setting. However, as user demands have increased, both brands and developers are expanding into markerless tracking techniques. With SDK’s such like Wikitude’s SLAM (simultaneous localization and mapping), markerless augmented reality apps are now becoming the norm. So what can developers do? If you’re a developer looking to kickstart an augmented reality project, Eoin recommended a few different platforms to delve into. With the recent industry push towards pioneering the best AR concepts, developers can easily gain access to some of the best tools from; Google Tango, Apple’s ARKit, Facebook’s AR Studio, Vuforia and Wikitude. ““From what I’ve seen, I’m wrapt on the projects that have already emerged from Apple’s ARKit. Aside from the fun fictional developments, I’m seeing some really useful consumers products, such as an AR measuring tape”. The current market for AR, sees a demand for brands looking to explore new methods of capturing user engagement. The key takeaway from the evening was that AR, although beginning to now gain traction, still has a long road ahead. Until consumers are comfortable adapting to wearable technology, AR will predominantly lie within the screens of your mobile device. It will, however, continue to offer significant benefits to industries looking to revolutionise the safety and productivity of workers. Eoin, being Eoin, of course had to wrap up the night by showing off something cool. The EyeJack prosthetic reality book is a display of fine artwork with hidden AR capabilities. By hovering the in-app camera over an image, it draws out the true AR potential of the book and brings the artwork to life. What are your thoughts on augmented reality? Let us know by tweeting @hydricmedia.